The regional party may end up in a coalition government after the May election. The SNP’s unrealistic economics in the campaign for independence point to disaster. But the party’s newest utterances suggest something better, including a brake on austerity fundamentalism. 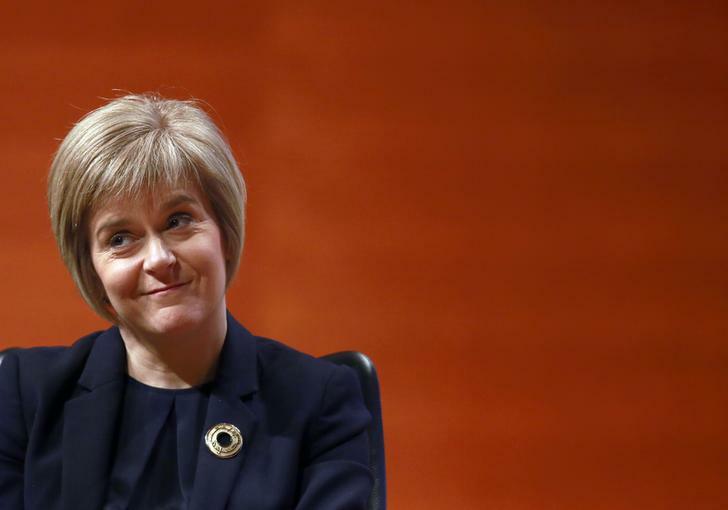 Newly elected party leader Nicola Sturgeon smiles at the Scottish Nationalist Party (SNP) annual conference in Perth November 15, 2014. The Scottish National Party said on April 20 that the transition to what it called “full fiscal responsibility,” and agreement of the detailed fiscal framework that would be required to underpin it, would take a number of years to complete. In the meantime, it said it would prioritise devolution of powers over employment policy, including the minimum wage, welfare, business taxes, national insurance and equality policy.